A shovel is a tool for lifting and moving loose material such as coal, gravel, snow, soil, or sand and is an extremely common tool which is used extensively in agriculture, construction and gardening. It is usually a hand tool consisting of a broad blade with edges or sides that is fixed to a medium-length handle. 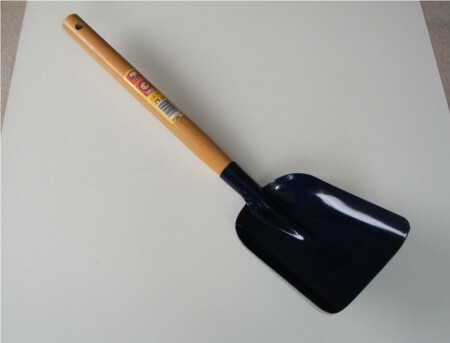 Shovels are usually made of iron or steel and are very strong.